The first mechanical gambling devices were developed in an America that was inventing new products seemingly daily in the waning years of the 19th century. Machines that simulated roulette, dice, and poker were first invented and manufactured in New York in the 1890s. The first primitive ‘nickel-in-the-slot’ chance devices also appeared at this time.  The technology had been developed in the East, but it was in Northern California, San Franciso in particular, where the market for gambling and gambling machines first appeared. California, at this time, was a hotbed of gambling. People would seemingly gamble on anything; horse races, bear fights, card games, poker, and other games of chance. San Francisco with a corrupt city government, thousands of bars and cigar stores, and an easy attitude towards human vices was a natural locus for gambling. The advent of the ‘nickel-in-the-slot’ machines in San Francisco was a natural occurrence. A trio of inventive San Francisco entrepreneurs; Charles Fey, Gustav Schultze, and Theodore Holtz worked in the electrical manufacturing business. Noticing the profits generated by the new ‘slot machines’ and seeing how their fellow citizens were clamouring for more machines, they got involved in the manufacture and placement of slots. In 1899 Charles Fey invented the “Liberty Bell” slot. This machine had three reels with various symbols, a coin tray at the bottom, a handle on the right-hand side, and a playboard. It was sturdily made of sheet metal on a brass frame. The machine was so advanced that it would be instantly recognizable to a modern slot player. Between 1892 and 1906 over a dozen slot machine manufacturers opened their doors in San Francisco. 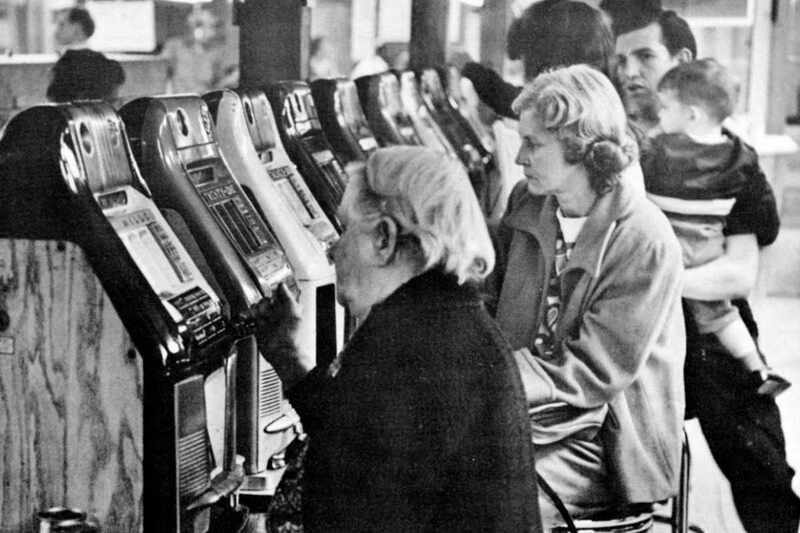 By 1909 there were 3,200 licensed slot machines operating in San Francisco alone. The many saloons, cigar stores and other small retail establishments also housed many unlicensed machines. As the city matured, however, the forces of ‘reform’ reared their head. In April 1909, slots were effectively banned in California and the slot machine business went underground. With the local market gone, the manufacture of slot machines soon shifted east to Chicago, Detroit and Newark. Prohibition and the roaring twenties presented a perfect environment for slot machines, even though there was no ‘legal’ casino gambling. The thousands of speakeasies that sprang up nationwide were a natural venue for slot machines. The speakeasies were selling alcohol illegally anyway. It was a small step to installing a few slots for the entertainment of the patrons. There were no liquor inspectors to interfere and bribes kept the authorities at bay. Virtually every speakeasy in America had several slot machines. As prohibition ended and the depression began, ‘reform’ politicians rode the slot machine to political glory. Starting in New York and San Francisco, these ‘reformers’ set out to save people from themselves by eliminating the evil slots and the criminal elements behind them. Politicians soon discovered the power of the photo op, using slot machines and a sledgehammer as props. The mayor of New York, Fiorella Laguardia, had a famous picture taken as he slew the evil slot machines. Legislation soon followed outlawing slots in the state of New York. Other states soon followed. The war dealt more serious blows to the industry. Obsolete slots were collected for scrap. Manufacturers turned to weapons production. Demand declined in the face of wartime shortages. In 1950, federal legislation prohibited shipment of slot machines to states where their use was illegal. This left only Nevada and part of Idaho and Maryland as markets. The reformers and anti-gambling factions were riding high in the ’50s. When Idaho outlawed slots in 1953 it seemed as if gambling would be confined forever to Nevada. But the reformers didn’t count on the popularity of the adult Disneyland then being built in the southern Nevada desert. What was once a dusty railroad stop was soon to become the entertainment/gambling centre of the world. With the rise of Las Vegas, and to a lesser extent Reno, the demand for slot machines started to soar once again. The number of slots in Nevada alone went from a mere 16,000 in 1960 to over 200,000 today. 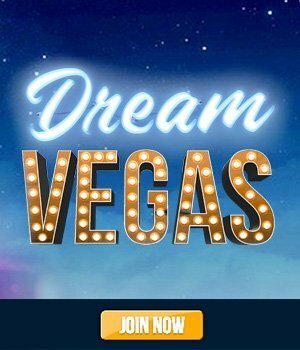 Add another 100,000 in other states and the growth of slots in the last forty years has been nothing short of phenomenal. The variety of slots on offer today is equally amazing. Recent trends have seen a mushrooming of the variety of slots provided for modern slot players. The basic three reel slot machine has evolved into progressive machines, four and five reel machines, three and more multi-line types, and various kinds of slots with rich and exciting bonus rounds.